You will need a 20cm Springform cake tin, and extra-strength tin foil. Preheat the oven to 180C/Gas 4. Process the biscuits until they are like crumbs. Add the butter and pulse again. 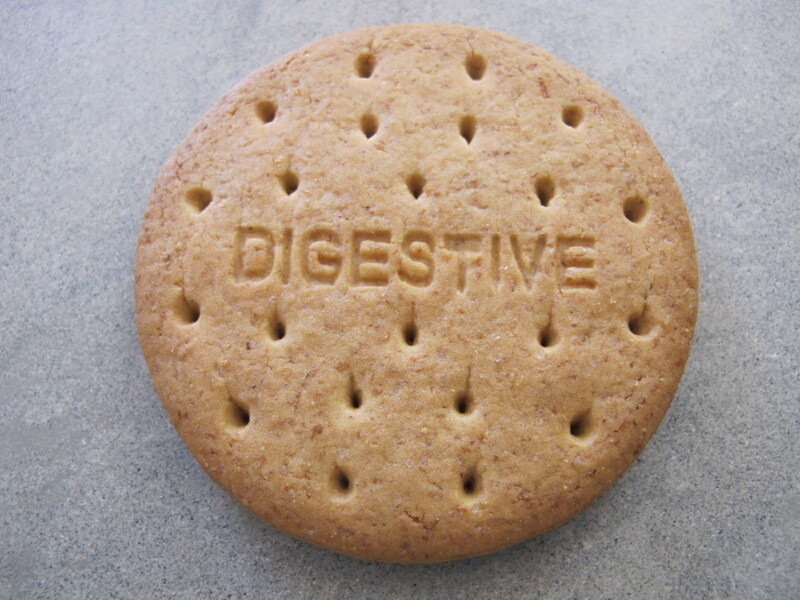 Line the bottom of the tin with the biscuits, using your fingers or the back of a spoon to press it down. Put the tin in the fridge to set. 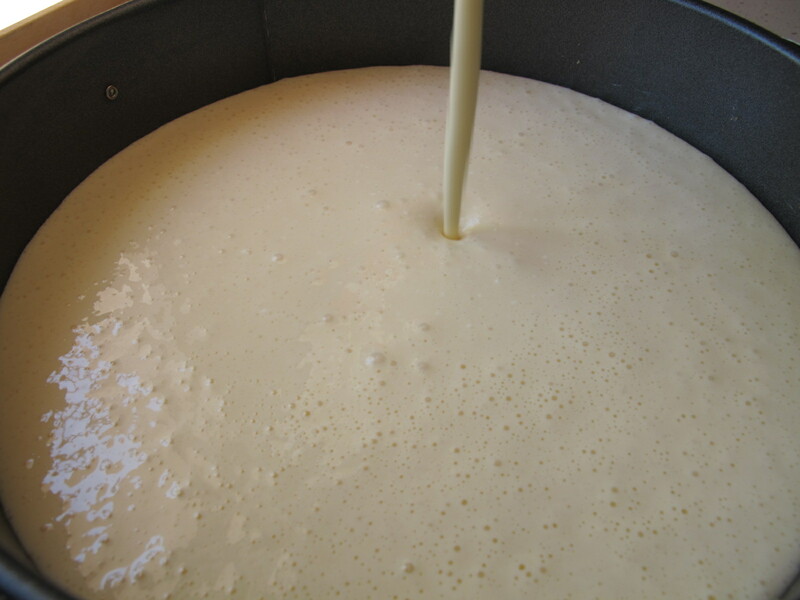 Beat the cream cheese gently until it’s smooth, then add the sugar. 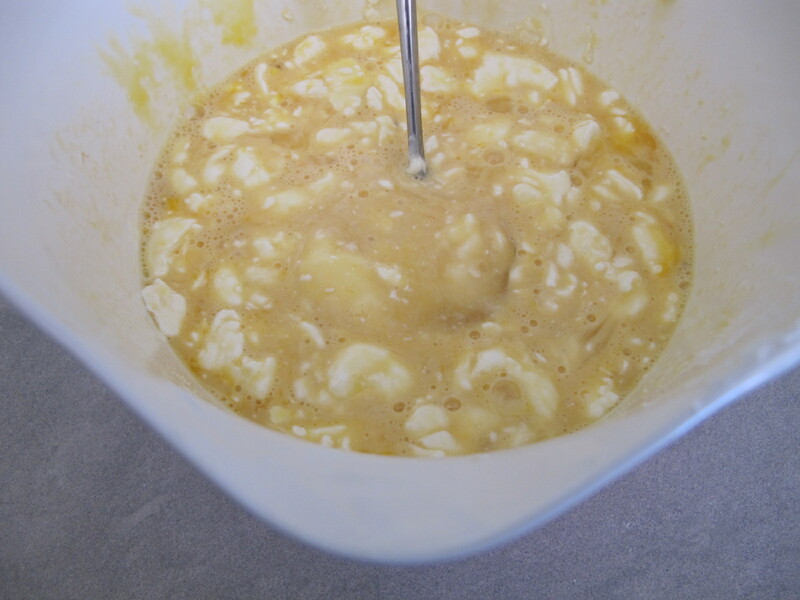 Beat in the eggs and egg yolks, then the essence and lemon juice. Put the kettle on. 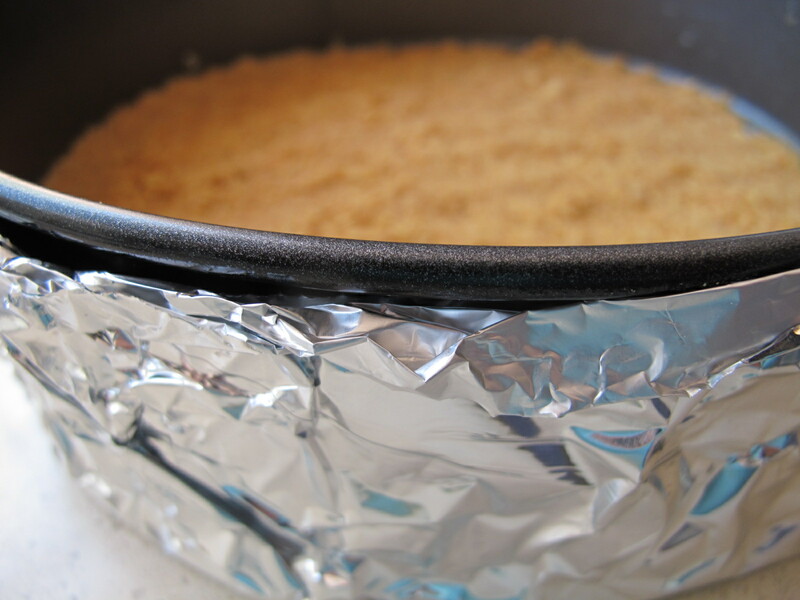 Line the outside of the chilled tin with strong foil so that it covers the bottom and sides in one large piece. Do the same again, then put the tin into a large roasting tin. 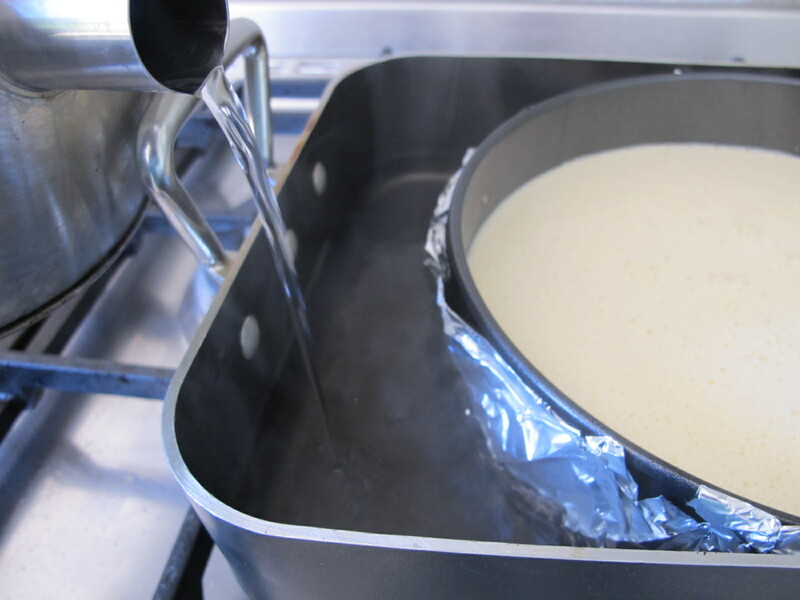 This will protect the cheesecake from the water as it cooks in its water bath. 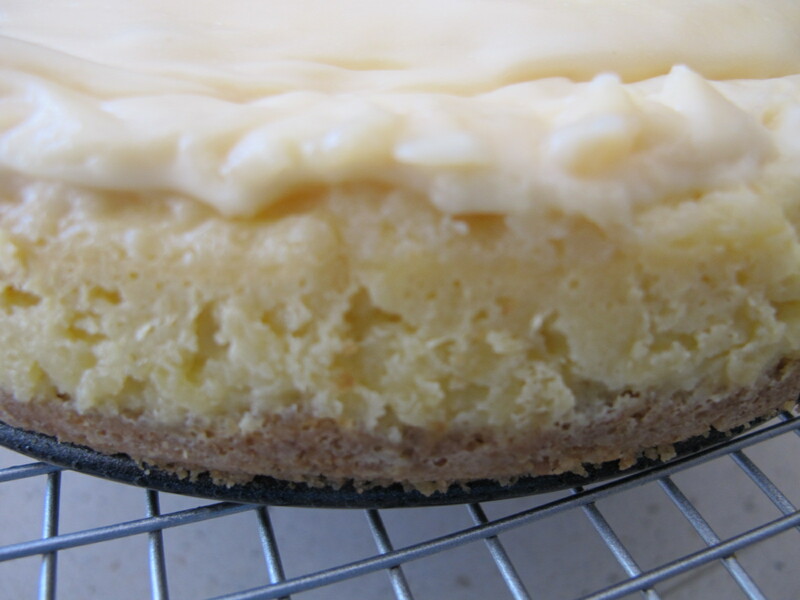 Pour the cream-cheese filling onto the chilled biscuit base, then pour the hot water from the recently boiled kettle into the roasting tin around the cheesecake tin. 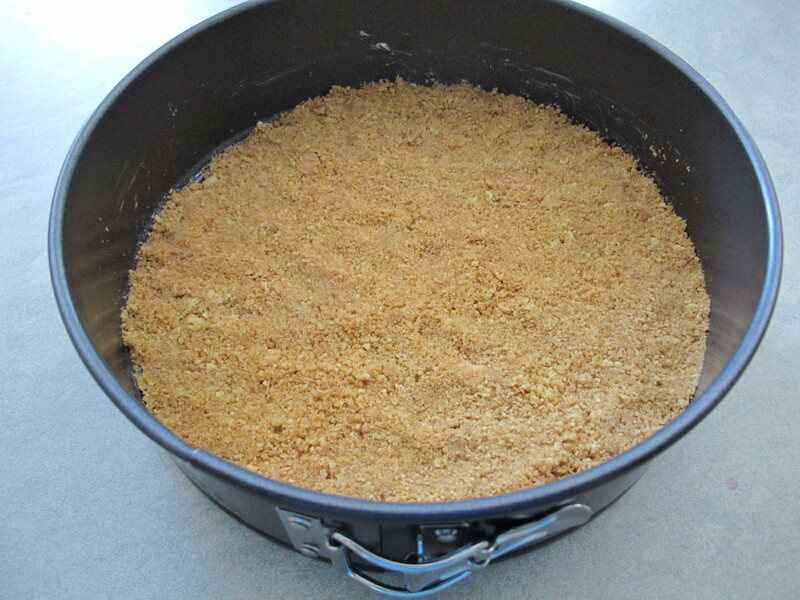 It should come halfway up the cheesecake tin, don’t overfill as it will be difficult to lift the tin. Bake in the oven for 50 minutes. It should feel set, but not rigidly so. 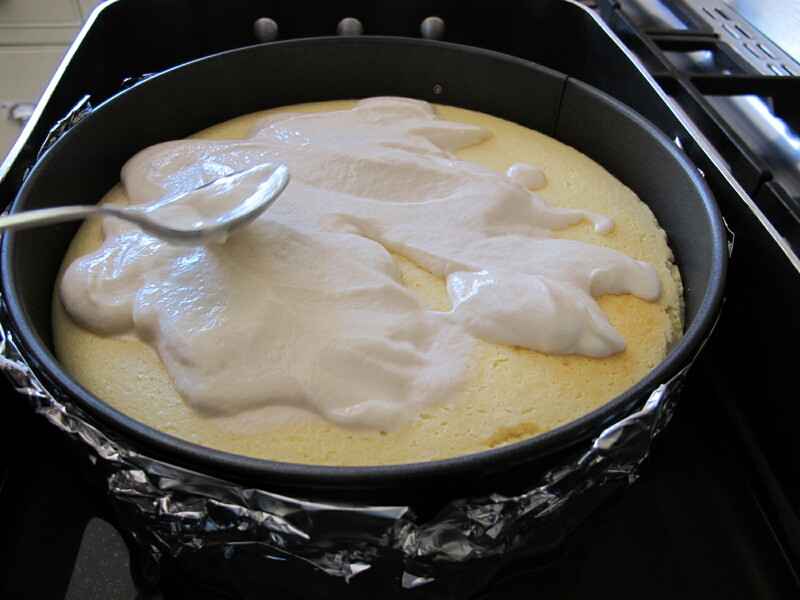 You just need to feel confident that when pour the sour cream topping over, it will sit on the surface and not sink in. 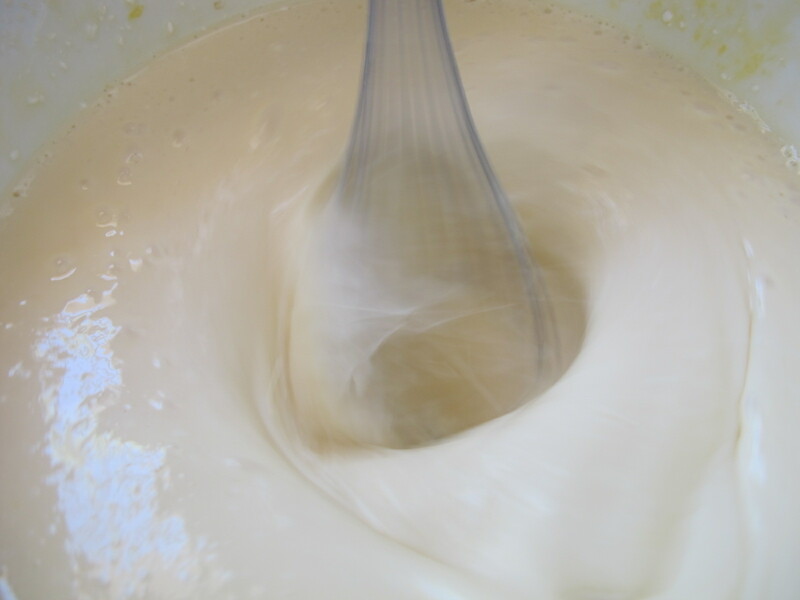 For the topping [below], whisk together the three ingredients and pour over the cheesecake. Bake in the oven for another 10 minutes. Take the roasting tin out of the oven, then gingerly remove the Springform tin. Unwrap it and stand it on a rack to cool. When it has cooled completely, put it in the fridge, removing it 20 minutes before eating. This entry was posted in A love of food and tagged Andalucia, food, living abroad, recipes, Sandra Danby, Spain, travel on November 29, 2014 by sandradan1.